Dressing up bland foods is important in my house hold. Not everyone can eat the same type of food without getting bored, and that is the case here. What to do? Think of different ingredients to make the same recipe with. For example, the other day in a rush I bought some already made quinoa. If you’ve had it before you know quinoa is bland and has no taste. Instead of eating it plain I thought to throw in some veggies I had in my fridge and make it more appetizing. It worked! 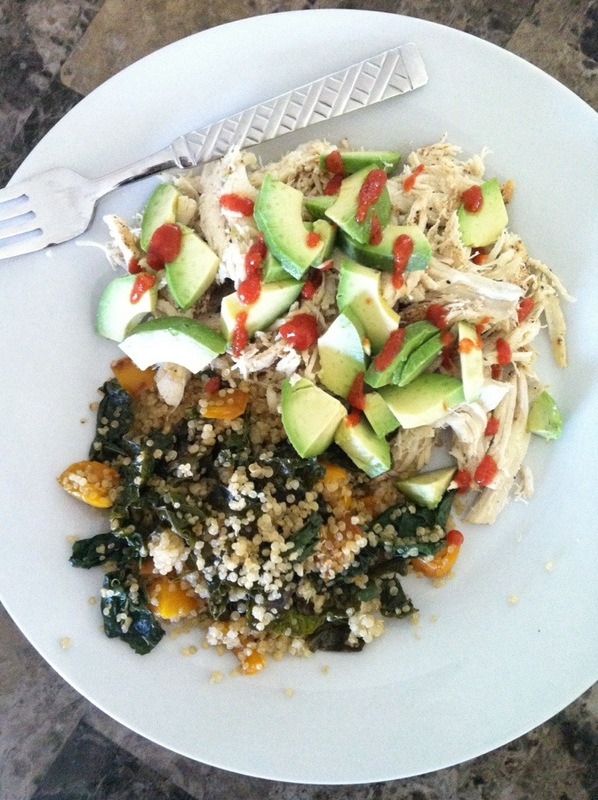 You can do this with brown rice as well and it’s another way of getting your veggies in. 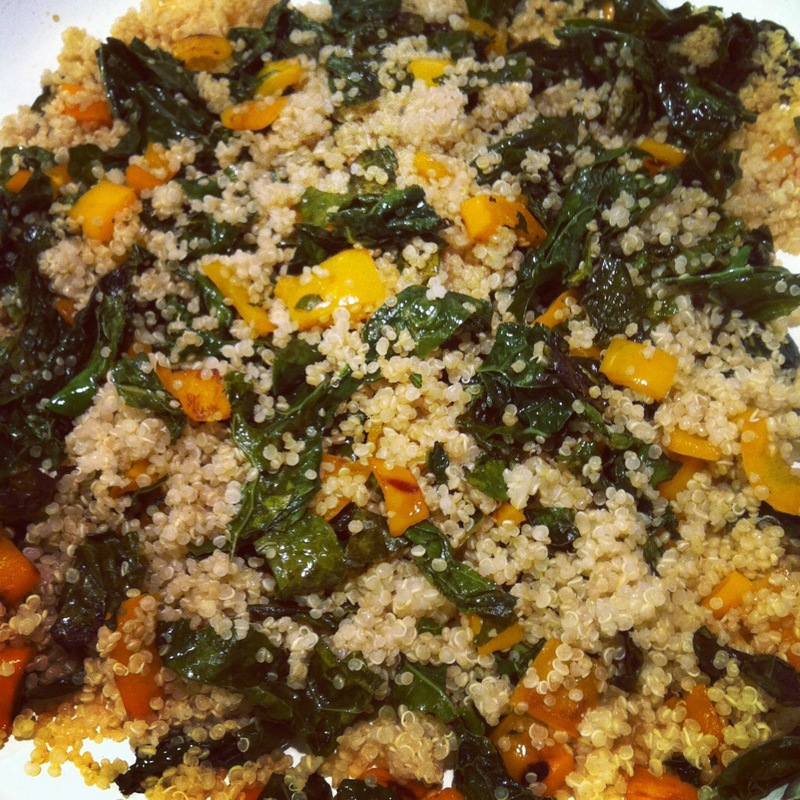 All I did was sautéed some Lacinto Kale and orange or yellow peppers in 1 teaspoon of olive oil and add it to the pre-made quinoa. Another example is making a simple protein dish and making plenty of it to use for the week as different meals. 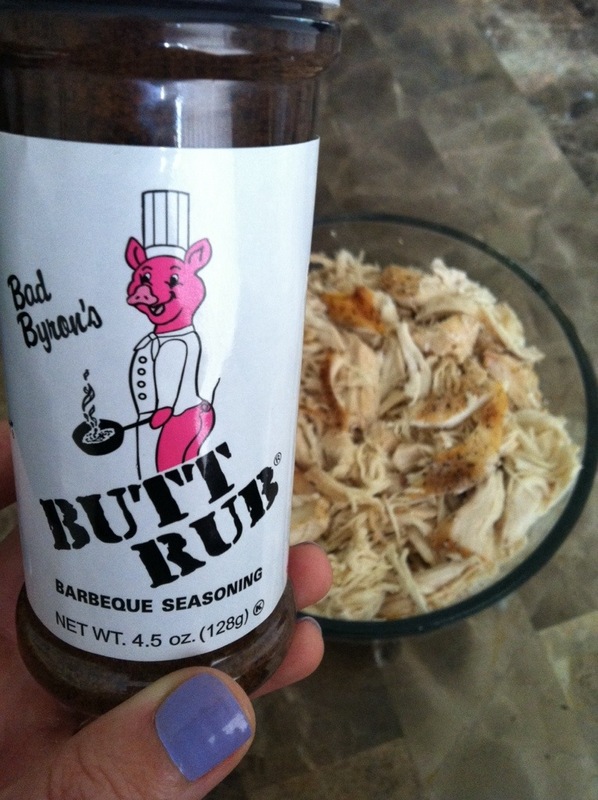 I bought this bbq seasoning mix and used it to make chicken breasts. I cooked 9 chicken breasts in the crock pot for 4 hours on high using only this seasoning. When chicken was done, I took it out and shredded it. Placed it in a glass container, ready to be consumed throughout the week. 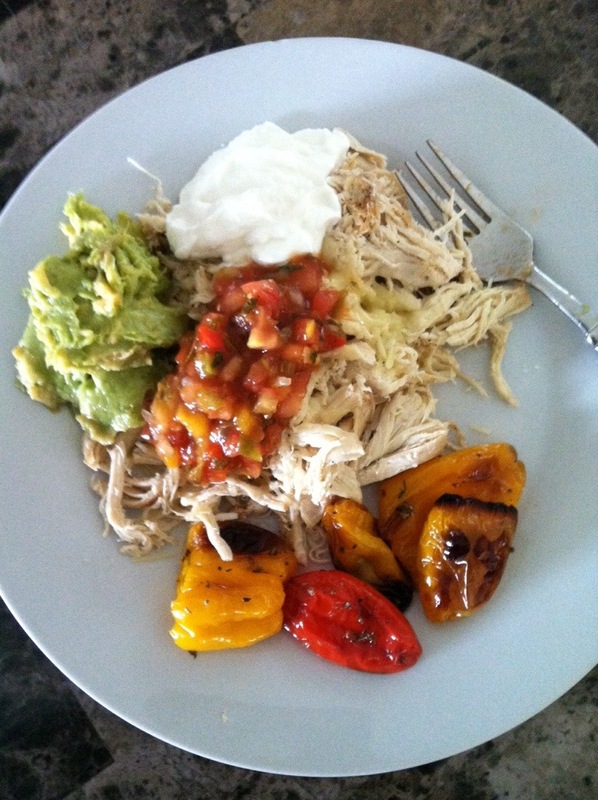 Take a look at a couple of meals I made with same shredded chicken.